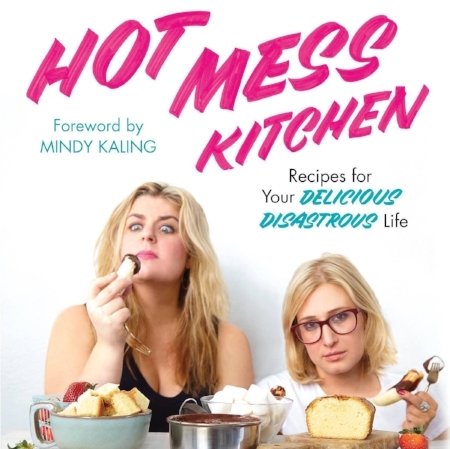 Gabi Moskowitz, aka BrokeAss Gourmet, and Miranda Berman, writer for The Mindy Project came together to write Hot Mess Kitchen: Recipes for your Delicious Disastrous Life, a new cookbook dedicated to save you from the perils of takeout and bring you back into the kitchen. To celebrate 10Q and the High Holidays, Gabi shared a simple DIY fro-yo recipe from Hot Mess Kitchen. Learn how to make it for yourself below, and read Gabi's response to her 10Q. Take back your kitchen in a fun, hilarious and helpful way and pick up Hot Mess Kitchen on Amazon!